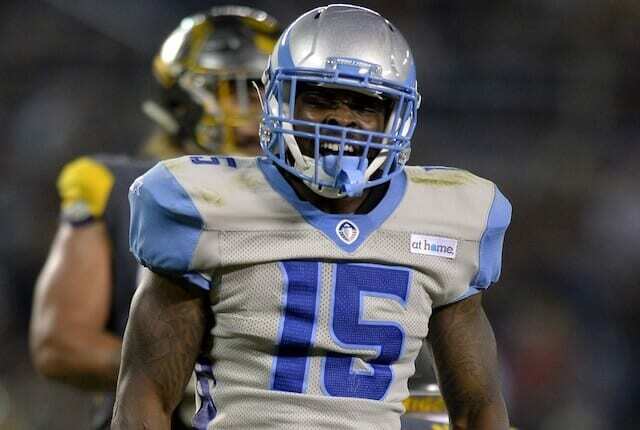 The Oakland Raiders announced that they are signing wide receiver De’Mornay Pierson-El, who last played for the Salt Lake City Stallions of the American Alliance Football league (AAF). In eight games with Salt Lake City, Pierson-El had a team-leading 36 receptions for 414 yards and one touchdown. Before playing in the AAF, Pierson-El spent time with the Washington Redskins after being signed by the club as an undrafted free agent in 2018, and also had a short stint with the Montreal Alouettes of the Canadian Football League. Pierson-El attended college at Nebraska, where he played in 43 games and had 100 receptions for 1,309 yards and 11 touchdowns. The Raiders have been busy adding to their offense this offseason, particularly their wide receiving corps. The big acquisition was trading for one of the best receivers in the league in Antonio Brown. They have also added Tyrell Williams, J.J. Nelson and Ryan Grant to the mix. The terms of Pierson-El’s contract are not known, but it is likely a one-year deal as he will get an opportunity to compete for a roster spot during Training Camp.